Harry Houdini thought he was a superstar, but there was one medium he was unable to conquer: movies. But Q is certainly recognizable as a robot, and his image lingered in the minds of designers of robots to come in later films, and also as toys, for over 40 years. He cut an imposing figure, managing to even squeeze some emotion out of Houdini. If you’re wondering what the first robot in cinema looks like in action, here’s a snippet of Q as he appears in The Master Mystery. What became of the original costume used for Q we do not know, however at the Los Angeles Conference on Magic History held at the beginning of November, Q mysteriously reappeared. The Conference is put on bi-annually by Jim Steinmeyer, Frankie Glass, Mike Caveney, and John Gaughan (names you likely don’t know but should), and is an invitation-only 3-day event that is the hottest ticket in the magic community. In addition to lectures on the history of magic, the specialty of the Conference is recreating illusions and such that have not been seen for a century or more. In the case of Q, he was recreated in sculpted foam and cardboard by Paige Moore, then painted and aged by Jim Piper, and displayed in the Conference’s Exhibit Room. On Saturday evening, after a lecture by illusion builder and conference co-organizer John Gaughan, Q reappeared in a humorous interlude and stomped his way through the audience. To understand why audiences in 1919 might have been somewhat alarmed and apprehensive about Q, we only have to transpose that to our own feelings about the robot Ava in Alex Garland’s Ex Machina, in which we eventually learn that Eva is not so different from Q after all. 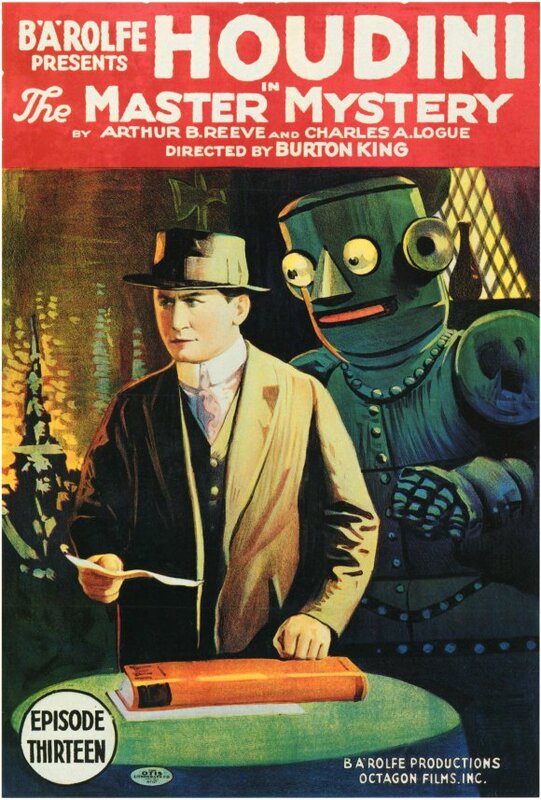 Almost a century may have passed, but robots are still of questionable character.